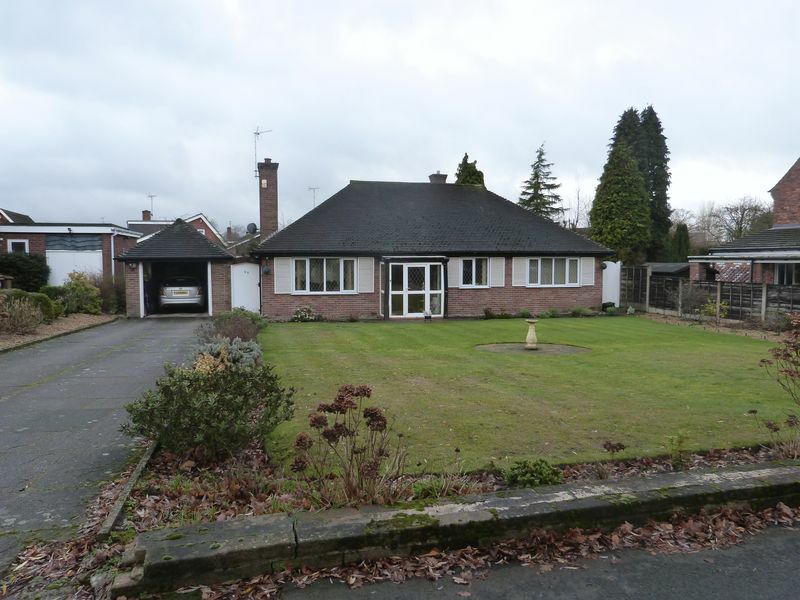 Found on one of Congleton's most sought after roads within the popular area of West Heath this detached Bungalow proudly occupies a large plot with further potential to extend, if required (Subject to relevant planning). 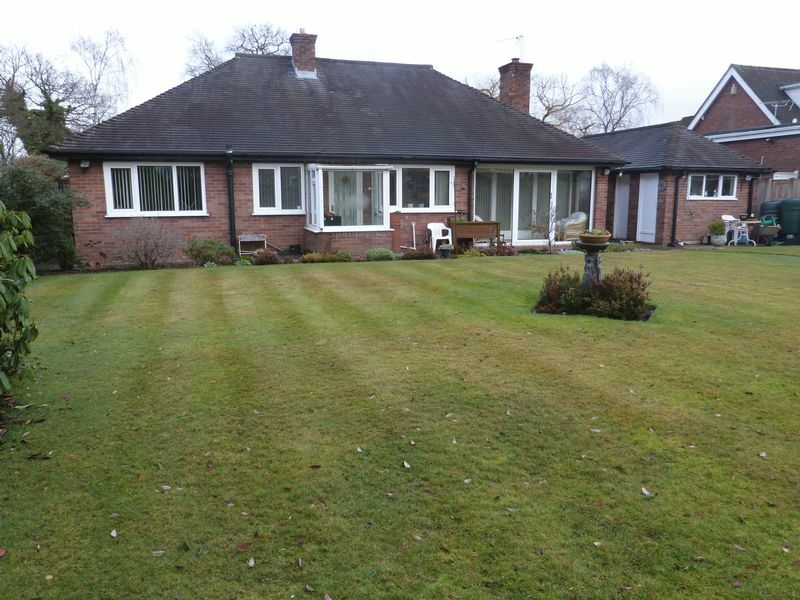 A Bungalow with spacious accommodation offering a welcoming entrance hall with a separate entrance porch, a generous 20ft Living Room overlooking Holmes Chapel Road, with a garden room attached which overlooks the rear garden. 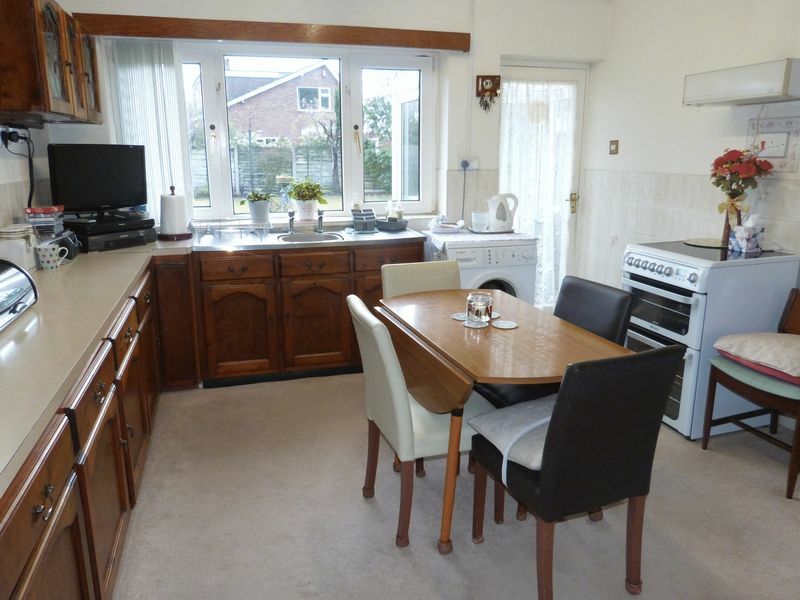 The property also benefits from a breakfast kitchen and a utility/rear porch giving access to the garden. 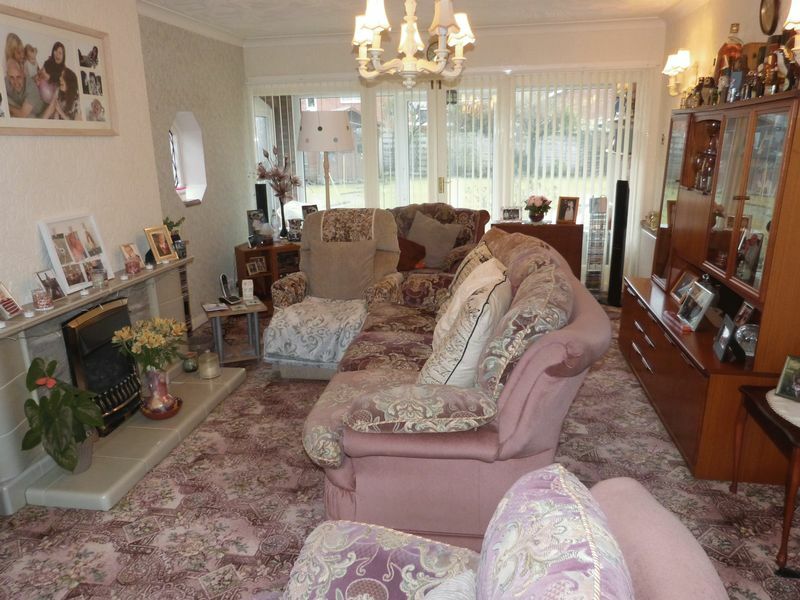 With an inner hallway, three bedrooms and a family bathroom completing the accommodation. 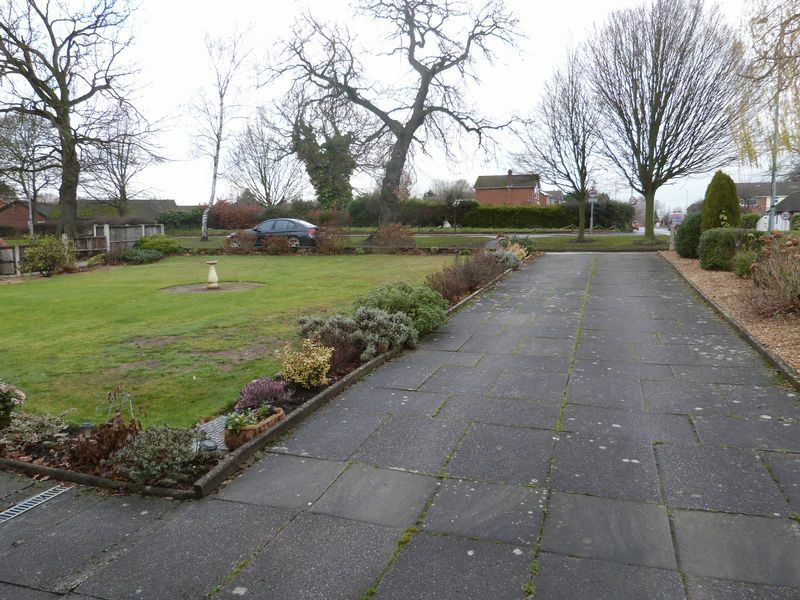 Well stocked gardens to the front with a spacious driveway providing ample parking for several vehicles leading to the garage which also offers a garden store to the rear. 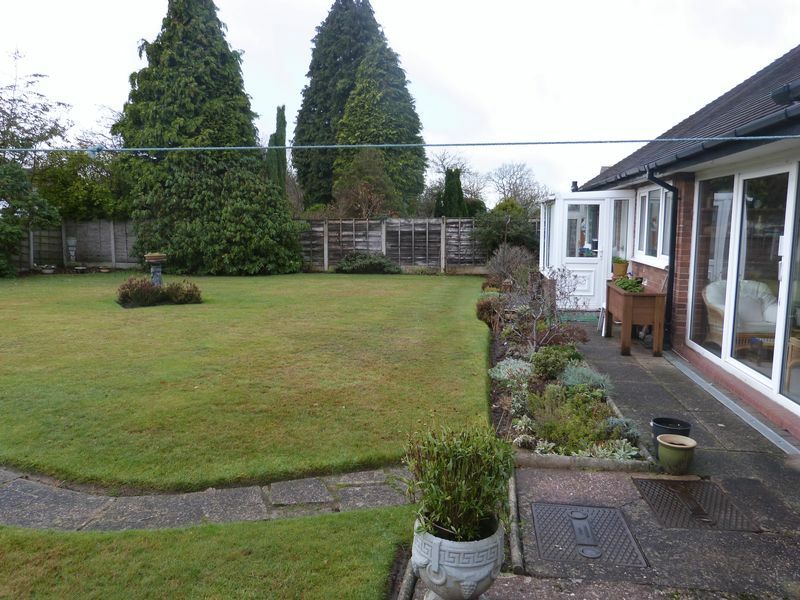 The rear garden is too a good size with mature well stocked borders and paved walkways and patio seating areas. With a front aspect double glazed window, two radiators, side aspect obscured coloured and leaded window lights, wooden internal window with door giving access to the garden room. Feature original style tiled fireplace housing a coal effect gas fire with display mantle, power points, T.v areial point, telephone point. 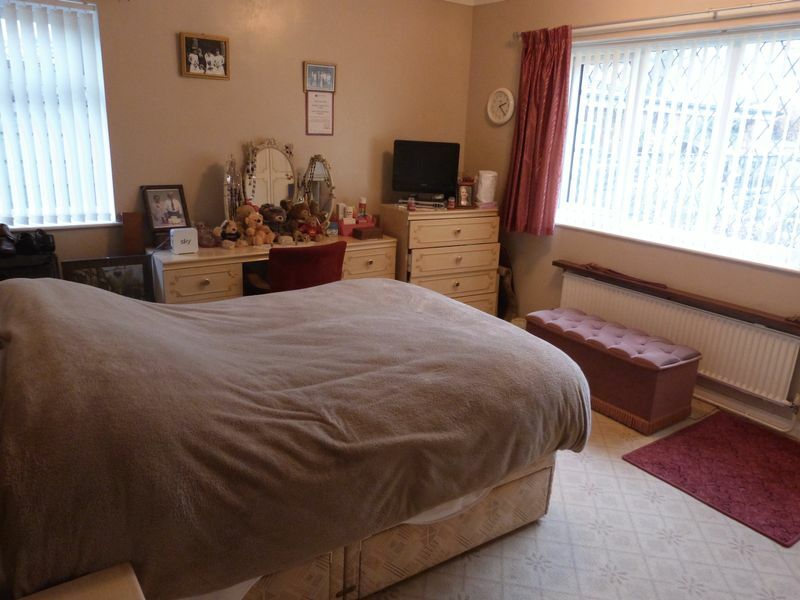 Part brick built with double glazed windows, double glazed door giving access to the garden, part tiled walls, space for fridge/freezer, power points, wall mounted lighting. 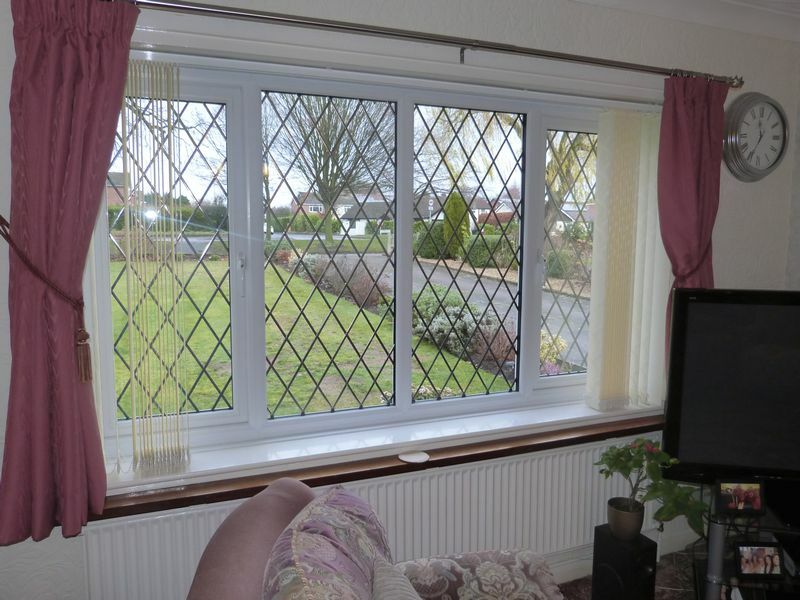 With front aspect double glazed window, side aspect double glazed window, radiator, power points. 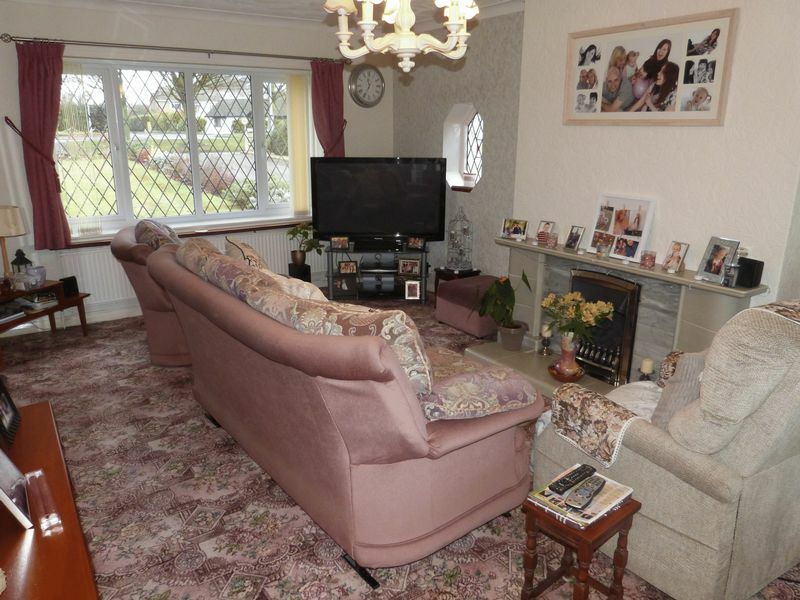 With rear and side aspect double glazed windows, radiator, power points. 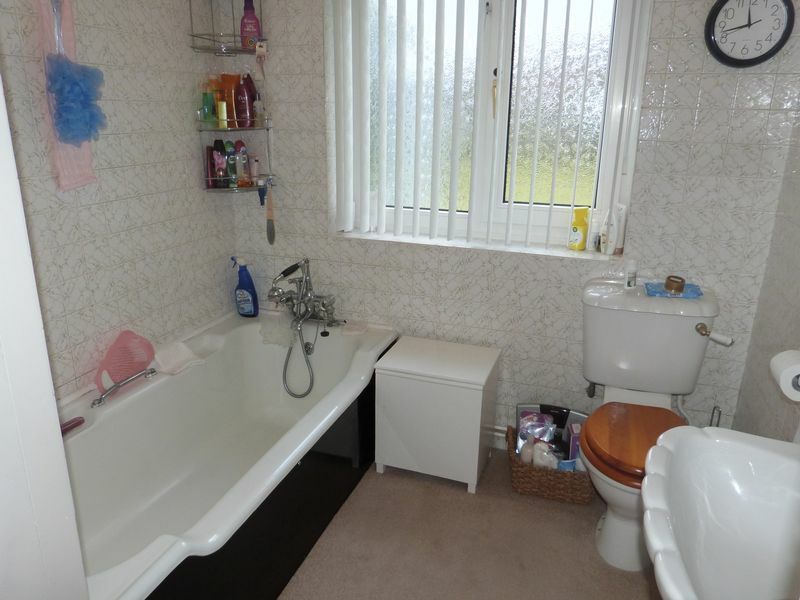 With a front aspect double glazed window, radiator, power points. Fitted with a three piece suite comprising a cast-iron bath with a wall mounted electric shower, shower attachment, mixer taps with shower attachment, pedestal wash hand basin and a low level W.c., tiled walls, rear aspect obscured double glazed window, radiator, airing cupboard housing the water tap and storage shelving, loft access. The property occupies a generous plot with large lawned garden to the front having a flower bed and shrub borders fenced borders and a paved driveway which provides ample off the road parking for several vehicles, paved walkways to the front of the property and along to the rear. 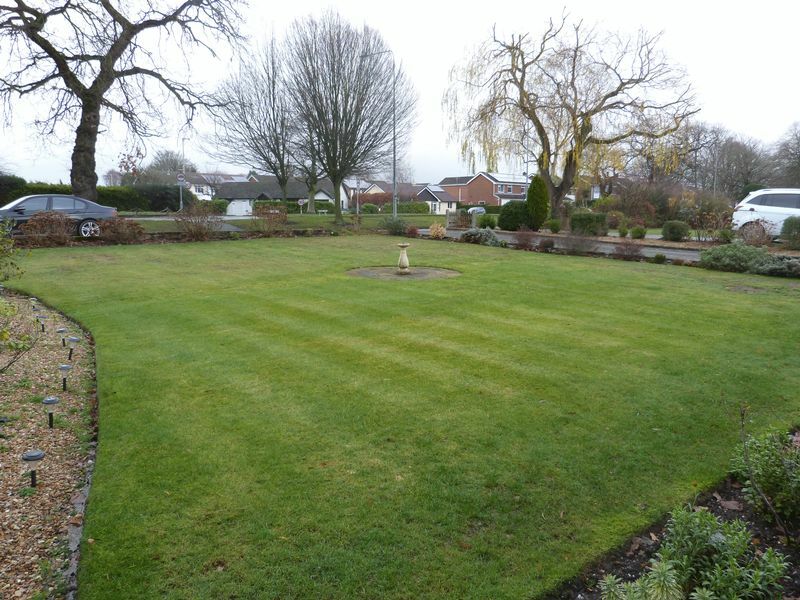 Rear Garden offering a generous garden which laid mainly to lawn with mature trees, flower bed and shrub borders, fenced borders, paved walkways and seating areas with a pathway which continues to the side and gated access along to the front. 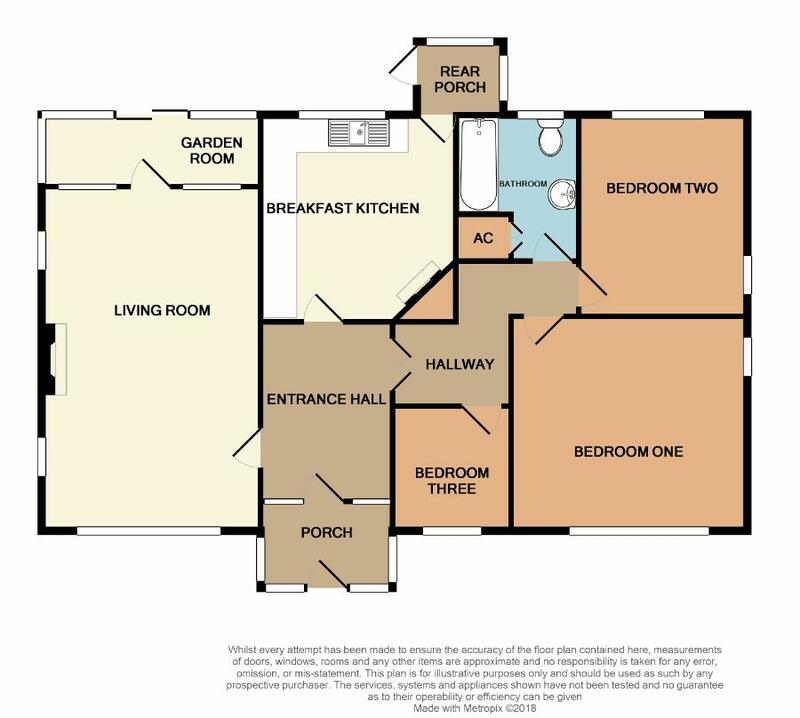 With a remote controlled electric "Up and Over" door, windows to both sides, sliding door to the rear, power points and lighting, wall mounted meters, space for fridge/freezers. To the rear of the garage there is a further store room. With a rear aspect window. 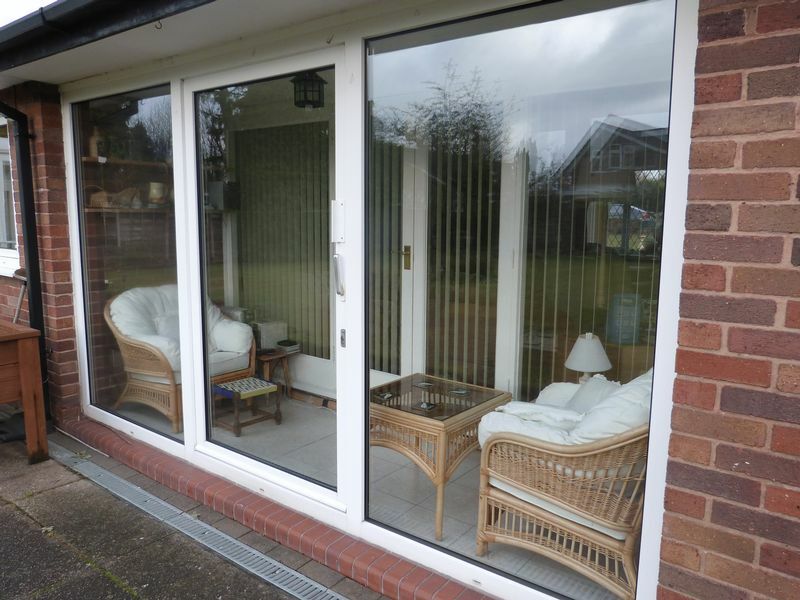 with picture windows overlooking the garden with sliding door, tiled flooring, power points and lighting.